Week fifty seven and with the clocks going back an hour, the nights are drawing in fast. 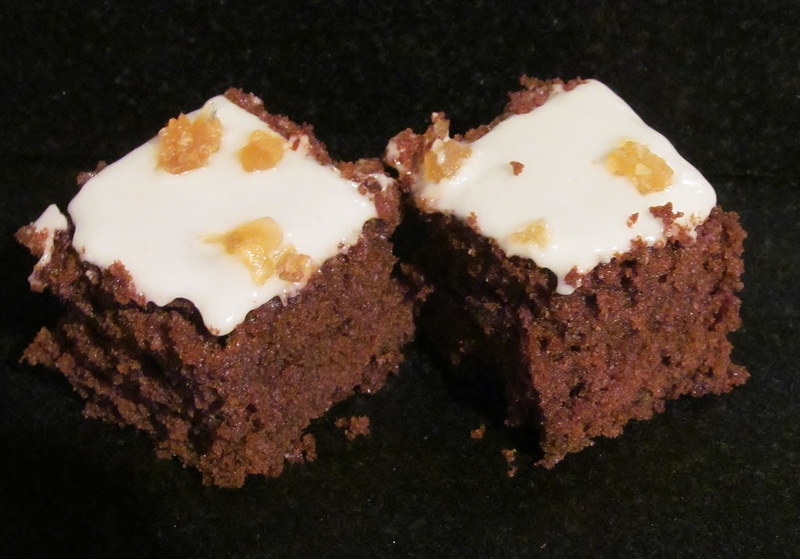 What better to comfort you on a colder darker evening than a ginger and treacle tray bake? Mary Berry‘s Baking Bible hasn’t failed to inspire me yet. This is a classic Mary recipe where everything is mixed together all in one go. No fussing or stages to make. I used my trusty Lakeland tray bake tin to put the mixture in and into the oven. Job done and timer set. The ping of the timer went off about 40 minutes later and the tray bake was risen, a lovely brown colour and the smell was amazing. The cake was left to cool and then Mary asks you to add the juices from a jar of ginger to make your icing. I must say that the amount of icing Mary suggests was very pitiful. I doubled what she suggested and it only just covered the tray bake evenly. 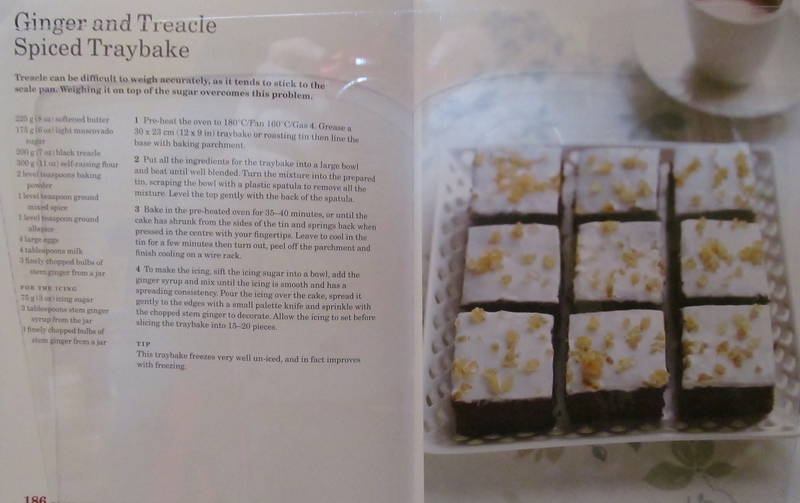 I then sprinkled some chopped ginger from the jar over the top and after the icing had set, cut the tray bake into even slices. 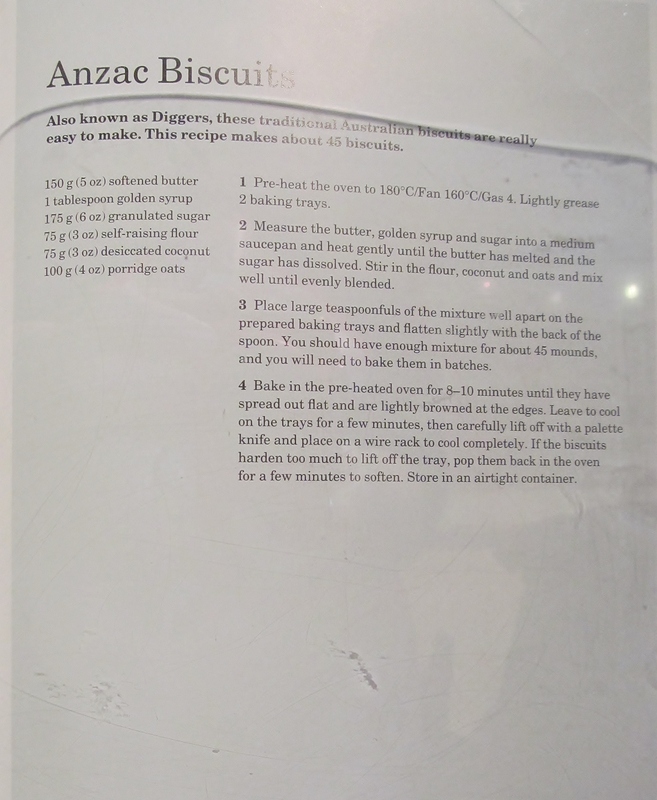 Anzac biscuits were next, these are an Australian biscuit also known as Digger biscuits. Mary asks you to put the treacle, butter and sugar into a pan and heat gently until melted. While this is melting, put the dry ingredients into a bowl which would be the flour, porridge oats and desiccated coconut. Add the melted mixture to this and mix well. Place teaspoons of the mixture onto a baking tray and press the middles down slightly. Mary’s recipe asks you to ensure the biscuits have room to spread so you can only add so many to a tray at a time. I managed a 3×3 square on each tray. Mary is right, they do spread so don’t be tempted to bunch them up. They go into the oven for about 10 minutes which isn’t long but long enough when you are cooking in batches. Leave the biscuits to cool on the tray for about five minutes before trying to move them, this allows them to cool and set together more. 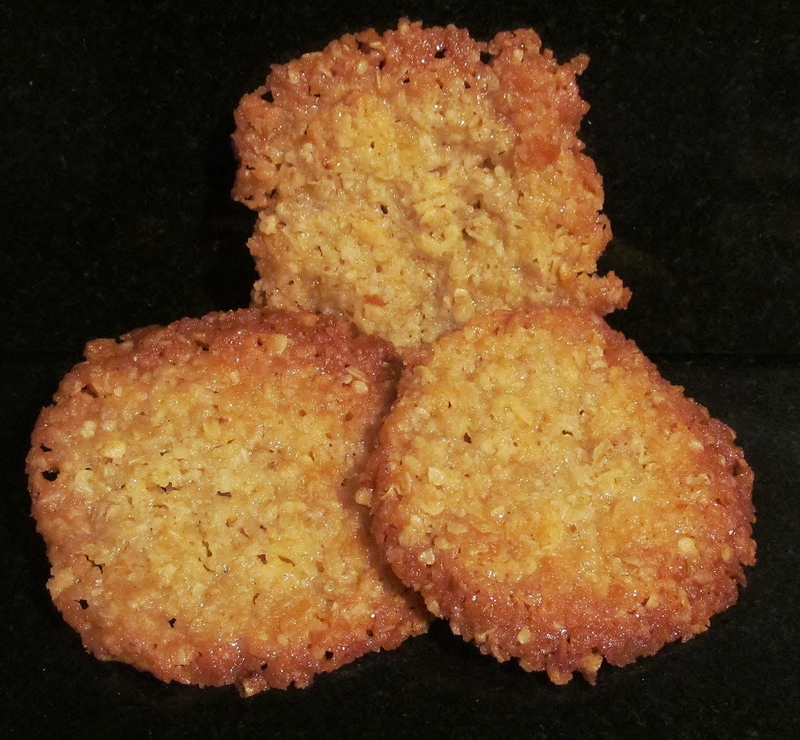 the result, an unusual, nutty, oaty, syrupy biscuit. I liked these and would probably make them again. I am in seventh heaven this week as Mary Berry and Paul Hollywood are doing The Great British Bake Off Master Class programmes pretty much all week, woo hoo and it just helps keep the inspiration going! I have picked up a few hints and tips and have only watched 2 of the four programmes! This entry was posted in Kim's cake challenge and tagged Baking Bible, Biscuit, Coconut, Grat British Bake Off Master Class, Great British Bake-Off, Icing (food), Kim's Cake Challenge, lakeland, Mary Berry, Mary Berry's Anzac Biscuits, Mary Berry's Ginger & Tracle Spice Tray Bake, Paul Hollywood, Sheet pan by kimsideas. Bookmark the permalink.